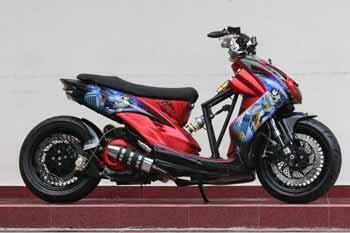 Little information on Yamaha Mio Soul sepesifikasi following modifications. Front tire modifications this time using Deli Tire 140/60-14, while for Deli Tire 140/70-14 rear tire. 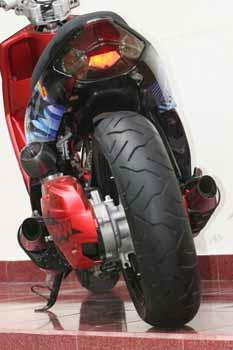 Using monoshock type G @ zi CBR150. Custom Exhaust. As for using the NSR PE 28 Carburetor.